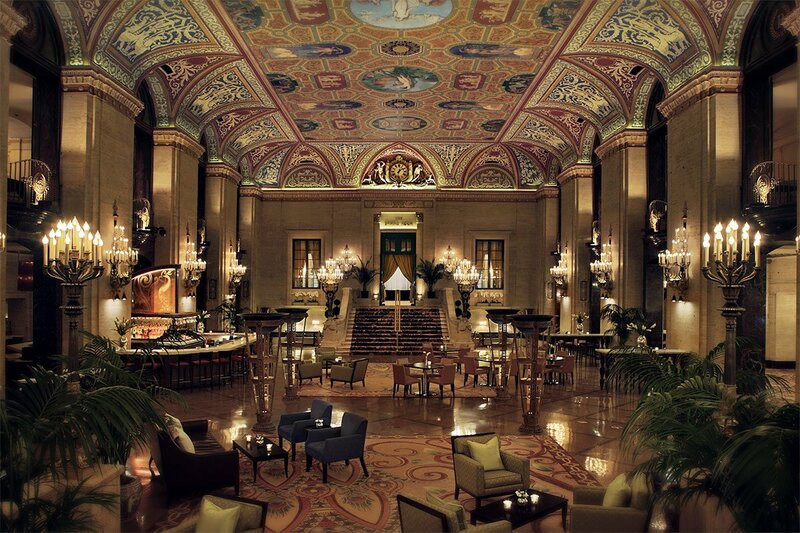 CHICAGO – I travel for stories that local people, buildings, and food have to share. 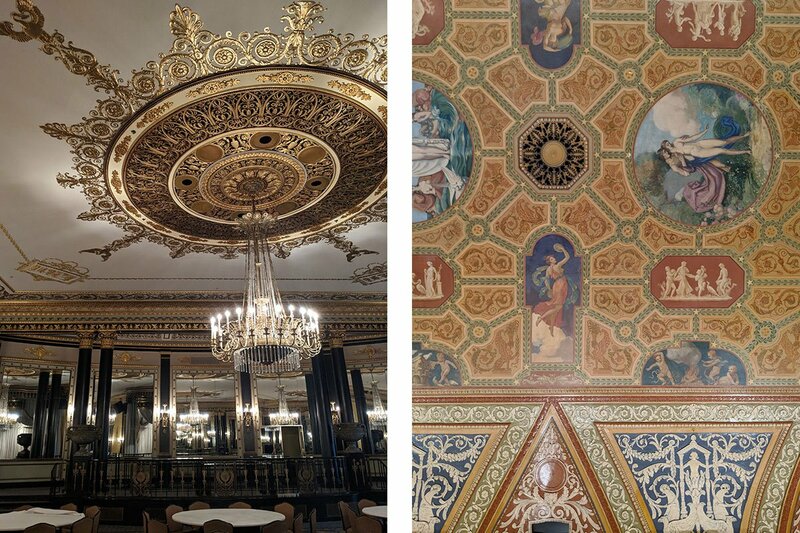 A recent tour of , the oldest hotel in Chicago, delivered on all three. The tour, led by resident historian Ken Price, started in the hotel’s museum, a tiny room tucked away on the mezzanine level. 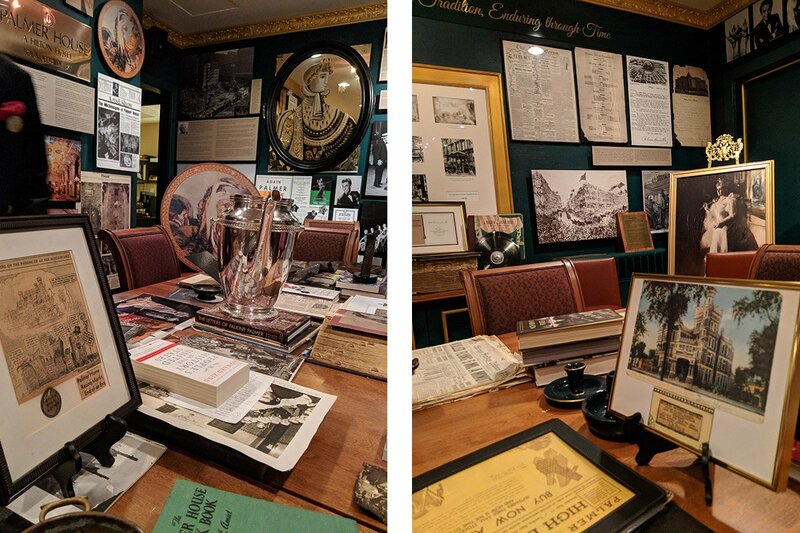 Every available surface was covered with hotel memorabilia: black-and-white photos, newspaper clippings, old menus, painted portraits, and the priceless artifacts that Price has amassed in 32 years studying the hotel’s 140--year history. Bertha was also an avid collector of French Impressionist paintings. She later donated almost all of them to , making the museum home to one of the world’s most important Impressionist collections outside France. 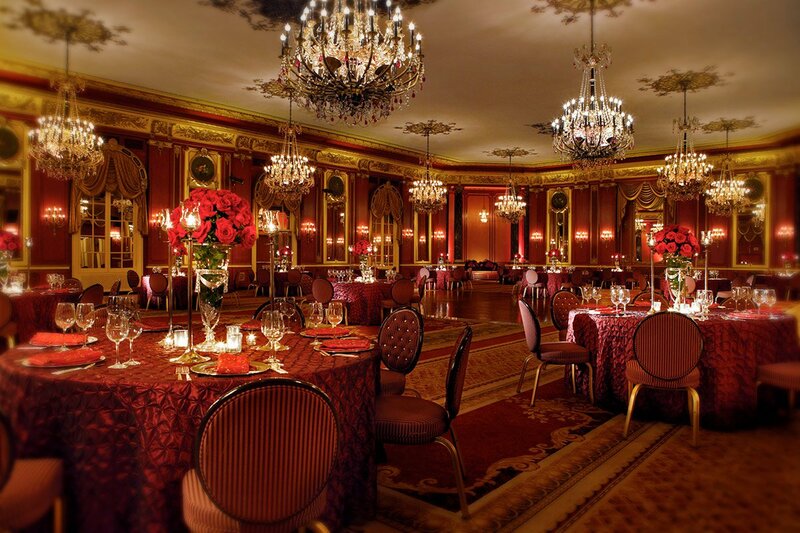 Tickets include a prix-fixe lunch at Lockwood and a History is Hott tour with Ken Price. Tours begin at noon Tuesday through Saturday. .
, a Hilton hotel, is located in the middle of downtown Chicago, a block away from the Millennium Park crowds. Look out for the stunning marquee on the East Monroe Street entrance. Not to give away any spoilers, but you'll want to have you phone out when you emerge from the escalators / staircase into the opulent lobby. Such a stunning ceiling fresco. So much gold. The executive suites at the hotel have their own private elevator banks, and if you're the type that's looking to avoid as much human interactions as possible (why?? ), download and join the program to check in and out and to get your digital keys through the app.